Nutter has a substantial real estate practice, extending into the most complex transactions and developments. Our clients include owners, operators, lenders, developers, managers, brokers, institutional investors, governmental authorities and quasi-governmental organizations, hospitals and other health care providers, educational institutions, and other not-for-profit entities. We represent clients before federal, regional, state, and local governmental authorities, boards and agencies (including the Cape Cod and Martha's Vineyard Commissions), local zoning boards and planning boards, the Massachusetts Department of Environmental Protection, Massachusetts Executive Office of Environmental Affairs, and the U.S. Environmental Protection Agency. We also represent numerous institutional lenders, including life insurance companies, pension funds, banks, and real estate investment trusts in creditor matters such as financings and loan restructurings. Our experience with these lending institutions also allows us to effectively represent borrowers and property owners in financing matters. Our attorneys are prominent and highly respected members of the legal and real estate communities. They are active leaders and members of the American College of Real Estate Lawyers, National Association of Industrial and Office Properties (NAIOP), Real Estate Finance Association of the Greater Boston Real Estate Board, Commercial Real Estate Women Network (CREW), Massachusetts Conveyancers Association, the American, Massachusetts, and Boston Bar Associations, Massachusetts Continuing Legal Education, Inc., and numerous other professional, trade, civic, and charitable organizations. 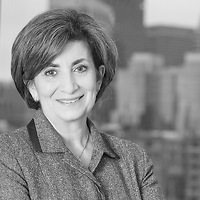 Nutter represented the full service real estate firm Related Beal on a range of complex issues involving Parcel 1B, a development project which includes the first large-scale 100 percent affordable and workforce housing development in downtown Boston in the past 25 years, as well as a 220-room hotel, ground floor retail space, and parking. Work included air rights leasing, title, acquisition, zoning, and environmental matters, as well as state and City of Boston entitlements, real estate tax stabilization, and hotel financing. Nutter advised the owner and developer of a downtown Boston property in the financing of a new 12-story residential and commercial condominium project, known as The Boulevard, in the negotiation of senior mortgage financing as well as a preferred equity investment by a national investment management firm. The project is designed to contain 31 market-rate units, five artists’ units, a retail unit, and a garage, and includes elements of a historic Bulfinch building. The acquisition, disposition, permitting, financing, and leasing on multiple projects in Greater Boston and Eastern Massachusetts for National Development of New England, Inc.
Nutter has advised on numerous projects, including MarketStreet at Lynnfield, Bridges at Andover, Station Landing in Medford, Chapter 40B development of Arbor Point at Woodland Station in Newton, Forge Park in Franklin, Fort Point Channel in Boston, MetroNorth Corporate Center in Woburn, Lake Williams Corporate Center in Marlborough, Blueview Corporate Center in Canton, Mansfield Corporate Center, New England Business Center in Andover, and various other office, research and development, shopping center, and assisted living projects. Nutter defended several shorefront owners in litigation concerning access to the waters of Cape Cod Bay. The courts ruled that the original developers did not reserve beach rights for the inland owners and further confirmed that the shorefront owners owned their land out to the mean low water line. The Department of Environmental Protection issued a summary decision determining that our client had made changes to their property without properly obtaining a license under the Waterfront Protection Act, Chapter 91. We successfully overturned that decision in a G.L. c. 30A appeal to the Superior Court, winning a remand to the Department for a trial. Our client sought a zoning map amendment for a large development project and a group of neighbors filed a protest petition under G.L. c. 40A, § 5. After the municipality granted the amendment, the neighbors filed an appeal to the Land Court seeking a determination that their protest petition met the statutory criteria that would have required a higher vote threshold for the map change. We prevailed on cross motions for summary judgment and obtained a judgment upholding our client’s zone change. Nutter recently secured a victory in the Massachusetts Appeals Court in an opinion that upheld the granting of a special motion to dismiss a suit that sought to enforce an alleged contract for the sale of a multi-million dollar water-view property in Chatham. The Appeals Court also ruled that the property owner was entitled to recover its appellate legal fees from the plaintiffs. The plaintiffs’ complaint alleged that the defendants’ failure to countersign the plaintiffs’ written purchase offer breached a promise that had been made by the defendants’ local attorney and real estate broker, and that the defendants became legally obligated to sell the property when the plaintiffs submitted a signed written offer and tendered a deposit check. On appeal, the plaintiffs changed their theory and claimed that an email from the defendants to their real estate broker discussing terms that the defendants wished to see in any deal could be combined with the plaintiffs’ later purchase offer to create a contract and satisfy the writing requirement of the statute of frauds. The Appeals Court rejected the theory, affirmed the lower court decision granting the defendants’ special motion to dismiss the case, and ruled that the plaintiffs would have to pay the defendants’ legal fees on appeal. The key holding was that, even though the unsigned form of the purchase offer came from the defendants’ attorney, it always remained an offer to purchase that the defendants were free to accept or reject, and that it was never an offer to sell. We represent an affiliate of Related Beal LLC in its redevelopment of a core asset of six existing, historically sensitive buildings in the urban core of the City of Boston to be known as Congress Square, which will result in a total of 530,800 SF of total development containing a mix of office, residential and hotel use. One of the buildings has been nominated for designation as a City of Boston Landmark, which has required intensive efforts with the City and local historic constituents to enable redevelopment. We represent Wood Partners, a national multi-family housing developer, in the permitting and development of many multi-family residential developments consisting of over 1,700 units in the Boston area. We represent developer/owner 1265 Main Street, LLC on the redevelopment of the former Polaroid Office/RD Campus into a 1,280,000 sq. ft. mixed-use office and retail center, immediately adjacent to Route 128 in Waltham, Massachusetts. We represent Boston Properties (BP) in BP’s redevelopment of the existing Hancock Garage and the redevelopment and refurbishment of the adjacent Back Bay train station located in the Back Bay neighborhood of Boston, MA known as the Back Bay/South End Gateway Project. Both of these properties are owned by the Massachusetts Department of Transportation (MassDOT) and are the subject of a long term ground and air rights lease to BP. Currently, in addition to substantial upgrades to the Back Bay Station, the project is planned to be a mix of office, residential and retail. As planned, there will be one office tower, two residential towers, with retail and parking on lower floors. The feasibility of permitting and constructing the project in and over active rail, light rail and interstate highway in a historic and dense area of Boston adds an interesting level of complexity. In total, the project could have a combined 1.3 million square feet of office, retail and residential space constructed. Nutter represented an affiliate of Charles River Realty and National Development in connection with its acquisition of 960 Massachusetts Avenue and 100 Newmarket Square in Boston. 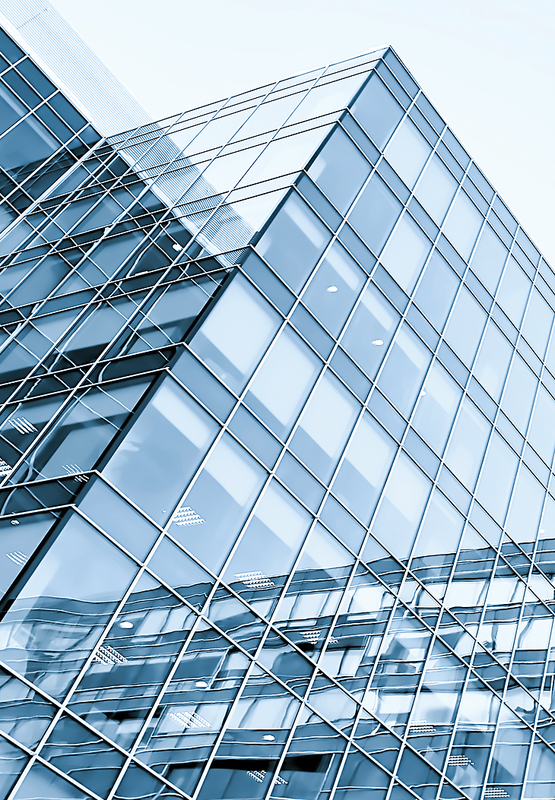 Nutter represented Connecticut General Life Insurance Company, as lender, in connection with a $24 million acquisition loan secured by two connected 7-story office buildings in Chicago, Illinois. Nutter represented Cordage Development Associates I, LLC in obtaining site plan approval from the Town of Plymouth, MA for a phased development under M.G.L. c. 40R containing 303 residential units in four buildings and 10,000 square feet of retail space. Nutter represented Corigin Real Estate Group, a NY-based real estate investment firm, in connection with a joint venture with Panoramic Interests and the financing of the development of a student housing project in Berkeley, CA. Nutter represented Farmers Business Network, an entrepreneurial agronomics business, in exploring and structuring lending opportunities, including loans secured by 2017 and 2018 farm products to farmers in Kansas, Minnesota, and Nebraska. Nutter represented a private real estate fund in the formation of a “REIT feeder structure,” consisting of a domestically controlled private real estate investment trust that is a subsidiary of a newly-formed Delaware limited partnership. The structure is intended to accommodate investments by qualified purchasers (as defined in the Investment Company Act of 1940). We represent Janco Development, the owner and developer of a 75 acre waterfront mill complex in Plymouth, MA. The master plan calls for the redevelopment of over 1.5 million square feet of mill buildings and new construction that will overlook Cape Cod Bay. The site will feature a marina with a deep water channel and a 400-foot solid filled pier, 675 residential condos and apartments, retail shops, and office space. The site hosts the southernmost MBTA train on the South Shore offering rail to Boston and is one of the largest transit-oriented, mixed-use developments in the region. The site was the first and largest smart-growth district under MGL c 40R. We represent an affiliate of Mark Development in its redevelopment of a city block in Newton, MA which will result in four- and five-story buildings with a total of 212,000 SF development containing a mix of residential, retail, restaurant, and community space. This is a transit-oriented development located just .01 miles from an MBTA commuter rail station. Approval for the project was obtained in June 2017. Project required the locus to be rezoned and a special permit obtained to allow for density and height. Project required 14 hearings before the Newton City Council. The project approvals were appealed by adjacent neighbors. We recently won this case in the Land Court. Nutter represented Connecticut General Life Insurance Company, as lender, in connection with a $24 million acquisition loan secured by two connected seven-story office buildings in the River North neighborhood of Chicago, IL. The buildings, containing approximately 121,600 square feet of office space, are located at 357-363 West Erie Street and are leased to multiple tenants. Nutter's client, Grossman Development Group, along with its investment partner and lender, successfully completed the acquisition of the former Spags site along Route 9 in Shrewsbury, MA. The development team has commenced construction of a new mixed use project at the site, known as Lakeway Commons. Nutter represents a joint venture between Phoenix Property Company /Lincoln Property Company and an institutional investor in the permitting and transactional aspects of a large, complex, multi-party residential/hotel/retail mixed-use project with underground garage to be constructed on the land known as Parcel K, owned by the Massachusetts Port Authority, that is located in the Seaport District in Boston. The project will consist of a 12-story apartment building with 304 apartments, a 12-story, 294-room hotel, office and retail space in both towers, and a one-level underground garage. Our work leading up to the initial closing involved the negotiation of: the acquisition of the project development rights from a prior developer; the joint venture between Phoenix Property Company/Lincoln Property Company and an institutional investor; the transfer of the hotel development rights to a joint venture between Hyatt Hotels Corporation and a hotel operator; multiple ground leases with Massport for the separate project components; a construction loan with JPMorgan Chase, N.A. as lead lender; and a complex reciprocal easement agreement among the different project components; as well as addressing complex permitting and title issues (including Chapter 91 licensing, agreements with the Boston Planning and Development agency and the creation of multiple air rights parcels). We represent FRIT in the permitting of several new phases of the large, transit-oriented, mixed-use project called Assembly Row in Somerville, MA, including negotiation of a creative approach with the planning board to meet the city’s new inclusionary affordable housing requirements through a combination of on-site units and cash payments over time to a community-based nonprofit organization which purchases and preserves existing affordable housing in established neighborhoods near schools, shopping, and transit. Nutter represented Boston Scientific Corporation on a national basis, as tenant, on all leasing matters, including two separate long-term leases for approximately 350,000 SF of research and development, warehouse, and office space in the Valencia Biomedical Park in Santa Clarita, CA. Nutter represented Convention Data Services (CDS), a Cape Cod-based SaaS company that provides event solutions and support services to over 250 tradeshows worldwide, in the development of its new corporate headquarters. We represent of The First Church of Christ, Scientist in the disposition via both deed and ground lease of multiple properties in Back Bay, Boston, and advice regarding permitting aspects of significant improvements to the Plaza and other Church-retained property. Nutter drafted new zoning for overlay district, defended the new zoning against judicial challenge, and secured approvals from the local planning board, conservation commission, county commission, water district, and environmental impact statement reviews for HSL’s 160-acre intergenerational campus in Dedham, MA with over one million square feet of space. Nutter advised in the development of the multibuilding Oracle Corporation campus in Burlington, MA, including complex permitting and environmental issues. Nutter advised in the contractual and permitting work for the Pearson Education/Addison Wesley campus in Reading, MA, including adoption of 40R zoning and the sale of the campus. Nutter advised in the permitting and land use litigation of numerous projects for National Development of New England, including the Bridges at Andover. Nutter assisted Lubert-Adler and Versa in their acquisition out of bankruptcy of the Malden Mills property in Lawrence, MA and Methuen, MA, including all permitting, and environmental analyses, and subsequent multiple dispositions of real estate assets, including complex title, permitting, and subdivision matters. Nutter negotiated a build-to-suit lease on behalf of a tenant for a new 200,000-square foot, build-to-suit office building and 800-space parking garage. Nutter negotiated leases and provided other portfolio management legal advice on behalf of the landlord of office, industrial, and other commercial properties in an extensive New England portfolio. On behalf of privately-held real estate advisory firms and their commingled real estate funds, Nutter negotiated purchase and sale agreements and leases for office, industrial, warehouse, residential, and retail properties throughout the United States. Nutter negotiated purchase and sale agreements, construction contracts, leases, and other agreements in connection with a national corporate real estate portfolio. Nutter represented the City of Quincy, MA in the negotiation of a complex land disposition agreement for the proposed New Quincy Center redevelopment project. This project involved a unique financing model for public infrastructure improvements. Nutter represented a company in the sale of large multibuilding research and development facility contaminated by radiation and other hazardous materials. We advised the client on the remediation of contamination and compliance with all relevant and environmental laws. Nutter negotiated the purchase and sale agreement for facility, including liability release for remaining environmental conditions. We also advised the client on applicable laws relating to potential demolition of components of facility, including impact of historic landmark regulations. Nutter negotiated the letter of intent, lease, architect's contract, construction contract, and other related consulting agreements for, and performed due diligence on, an approximately 265,000 square foot headquarters office facility. We also negotiated several lease amendments for expansion space and advised the client on rights of first offer and expansion options. Nutter represented a developer in the acquisition, zoning, permitting, land use, environmental, subdivision, sale, and financing of a 400-acre industrial/office park development in southeastern Massachusetts, including the creation of individual land parcels, permitting of separate uses, leasing to end users, construction financing, and disposition of developed lots. Nutter represented an institutional real estate owner on all aspects of large Boston and Cambridge, MA office, warehouse, manufacturing, and research and development facilities, including negotiation of leases, letters of intent, property management contracts, brokerage agreements, and construction and architect contracts. In addition, we provided advice to the client on zoning, permitting, and environmental matters. Nutter represented a medical device manufacturer on a national basis on real estate leasing, acquisition, disposition, financing, permitting, environmental, and other land use related activities, including negotiation of letters of intent, purchase and sale agreements, leases, lease amendments, architects and construction contracts, brokerage agreements, and other consulting arrangements. Nutter represented the owner on a three million-square foot enclosed mall leased to national anchor and national interior mall tenants. We represented the client on all facets of leasing and property management activities, including letters of intent, leases, lease amendments, subordination, non-disturbance and attornment agreements, architect's contracts, construction contracts and other consulting arrangements, and advice and representation of the client on zoning, permitting, and environmental matters. Nutter Partner Bob Fishman Honored as a Superstar by Combined Jewish Philanthropies of Greater Boston, Inc.
Beth Mitchell and Matthew Hanaghan present at Massachusetts Bankers Association’s webinar "Bank REO Sales & Resulting Liability"